Now that's a smart bundle. The Echo Show is one of the best smart speakers you can buy—with or without a display—but today's deal makes it one of the best values too. 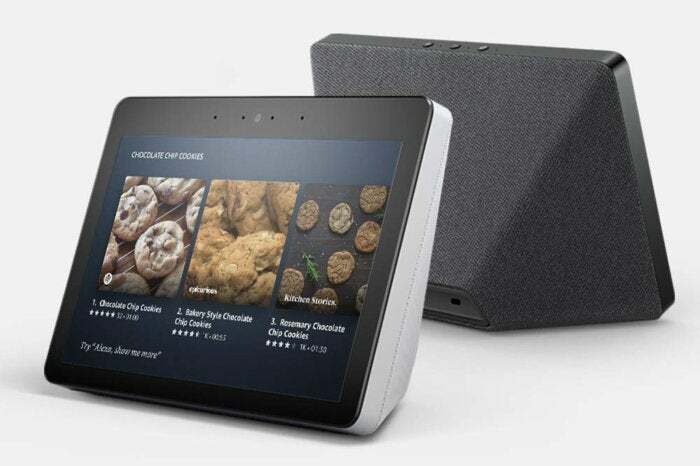 Amazon has cut the price of its second-generation Echo Show to just $180Remove non-product link, matching an all time low. But what makes this deal even sweeter is the inclusion of a free Philips Hue smart bulb with every purchase. The Echo Show's built-in display can help you see everything from the weather to song lyrics, with Alexa helping you control it with just the sound of your voice. You can also stream video and make video calls and see feeds from your Ring doorbell without lifting a finger. And of course, you can also control smart devices such as the bundled Hue bulb (though you'll need a separate hubRemove non-product link if you aren't already set up with Hue lighting in your house). We gave gave the Echo Show 4.5 stars out of 5 in our review, noting its clear, vibrant display and easy-to-use interface as reasons to buy. And we love the Hue lightbulbs too, so this deal is just too good to pass by. This story, "Amazon is selling the Echo Show for its lowest price ever and you get a free Philips Hue bulb" was originally published by PCWorld.